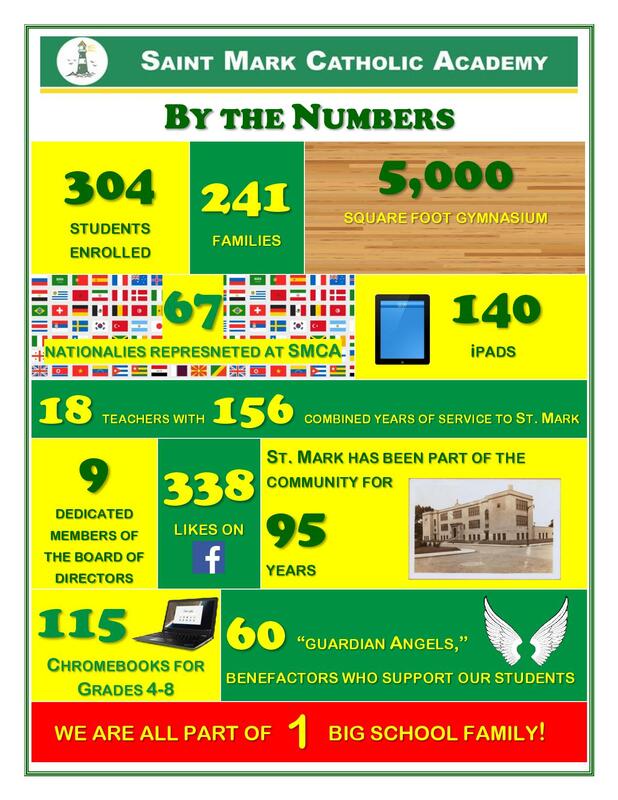 We welcome you to experience the difference at Saint Mark Catholic Academy! Here we realize each child’s potential, developing their gifts and talents to serve others as we nurture faith and love of God. At Saint Mark Catholic Academy, educational success goes beyond just preparing for State Exams. Here, educational success means preparing our students for life.